Investigative Case - "Goodbye Honey Buckets"
Starting Point-Teaching Entry Level Geoscience > Investigative Case Based Learning > Investigative Case Based Learning Examples > Investigative Case - "Goodbye Honey Buckets"
Students will investigate arctic geology and hydrology as well as tundra ecology as they consider options for sewage treatment. Public safety, environmental impact, and issues of construction and engineering will be explored. To learn how a sewage treatment plant works. To develop awareness of roles microorganisms (including bacteria) have other than as agents of disease. To appreciate the special challenges of municipal construction in arctic environments. To suggest modifications to existing sewage treatment systems that can improve performance in arctic conditions. The case can be used in introductory geoscience, environmental science, and introductory biology. Lecture, lab, and field activities are available. Considering Class Size - Different types of objectives can be accomplished by implementing case-based learning in different sized classes. How Do Investigative Cases Fit into Courses?- What issues need to be taken into account before introducing cases to your class? Even in 2001, there are still villages without a municipal sewer system. John Kepaaq is a member of the Tribal Council in Icy Valley and he is concerned about the type of sewer system that is being considered. Everyone in northern Alaska has heard stories about outside developers who did not realize the unique problems of construction in the arctic. Icy Valley is a village of about 200 people who know what it is like to live with permafrost, darkness, and long cold winters. John wants to be sure that the sewage system proposed for their village is appropriate for the cold temperatures and safe for the tundra environment. 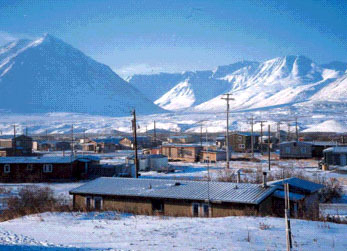 Note: John Kepaaq and Icy Valley are fictitious, but the problem is real. How To Use Investigative Cases with Examples. Note: Goodbye Honey Buckets is used as the example case for implementing investigative case-based learning in classrooms. Extensive teaching notes are presented here. What are the major limiting factors due to tundra climate and soils and why? What are the feasible sewage treatment methods and why? Are there other considerations for successful construction in the arctic we should be considering and why? Independent investigations using the Internet to learn how a sewage treatment plant works. Class session for everyone to share what was learned and brainstorming to develop ideas for possible appropriate technologies. Note: The case author had students consult with local Tribal elders to learn about traditional methods of waste treatment. Preparing Students for Cases and Collaborative Learning - Hints and advice on how to introduce cases into your class. Individual designs for sewage treatment facility for Icy Valley. a web-based poster session of class experimental results. Student Survey on Using the Case (Word 24 kB) Note: You may find it helpful to use this form to gather information from students if you wish to see how they view learning with cases. What is Investigative Case Based Learning?